Yesterday, the Boston Sports Blog had the pleasure of joining I Love Boston Sports on the BU campus for an autograph and t-shirt signing with Bruins star Brad Marchand. The event was a complete success from start to finish, with a great turnout of Bruins fans eager to meet their favorite player. Fans had the opportunity to meet Marchand, chat with him, take pictures, and get an autograph. I Love Boston Sports also had their full line of Bruin’s gear on display, with a wide variety of creatively designed shirts and sweatshirts for all die hard Boston sports fans. Not going to lie, the Bru-Tang Clan line of apparel was sick! For most of the event, Marchand actually rocked a sweatshirt with him and the entire team as cartoon drawings, obviously with Brad as the leader of the clan. Anyways, the event was a great success all around. We were all pumped to join in on the event so again, big thanks to the guys at ilovebostonsports.com! Stay tuned for more info in the next week about another Bruins event that the Boston Sports Blog will be a part of! 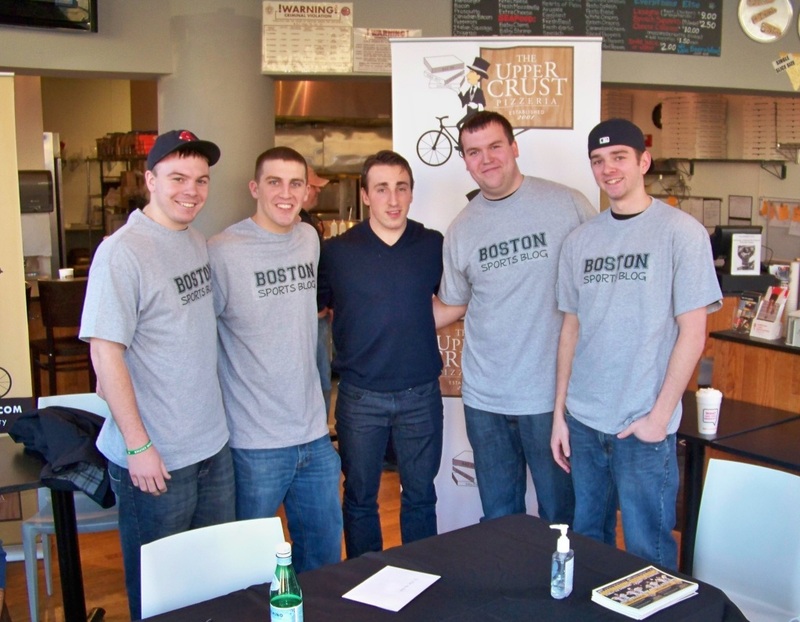 This entry was posted in Bruins and tagged autograph event, boston bruins, boston sports blog, Brad Marchand, ilovebostonsports.com, Upper Crust by jtulz07. Bookmark the permalink.